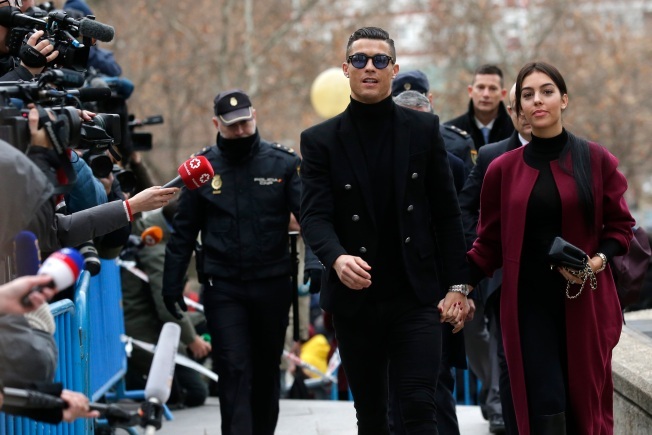 Cristiano Ronaldo arrives at the court in Madrid on Tuesday, Jan. 22, 2019. Ronaldo arrived at court in a black van and was wearing a black sports coat and black pants. He walked up some stairs leading to the courthouse and even stopped to sign an autograph.